Christine Scholl, designerMy advanced graphic design class includes a service-learning assignment where students work on an actual design projects to gain experience working with clients and provide a service to their community. 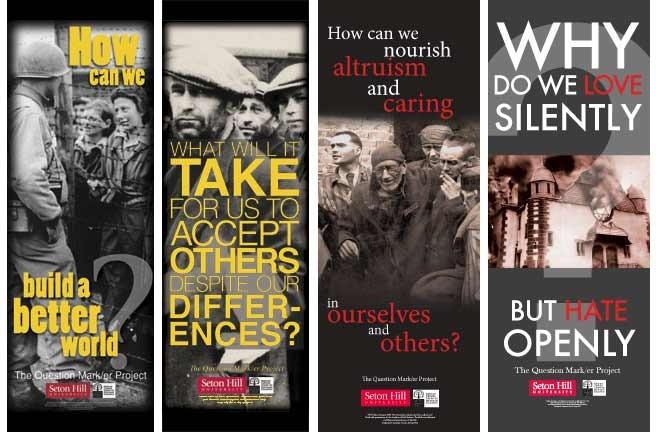 This year students completed 4 banners for the National Catholic Center for Holocaust Education at Seton Hill University that will be used during a conference in the fall of 2012. Other students created a Lenten reflection book for Seton Hill Campus Ministry as well as a flyer for the Seton Hill Social Work conference. 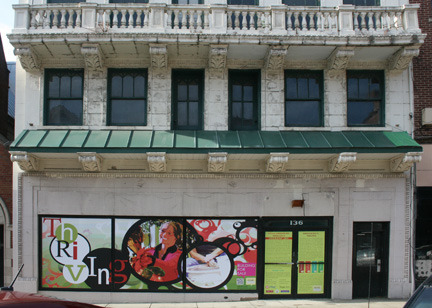 In 2010 and 2011, the service learning projects in my course had students designing for individual businesses and for the city of Greensburg. Through collaboration with Steven Gifford, Director of the Greensburg Community Develop Corporation, my design students created environmental designs for the City of Greensburg as well as individual businesses in Greensburg. The students broke into teams and worked with clients to develop their imagery. Design is a highly individualized process so the students listened to the client’s requests and made suggestions regarding the designs before putting pencil to paper. They continued to work with the clients to refine their initial designs until the final image was created with professional design software. The students learned a lot about requirements for environmental design and also working with clients — one of the more difficult situations to recreate in the classroom setting. 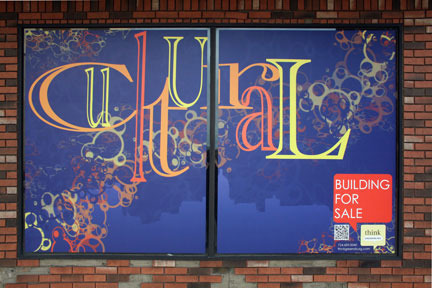 On this blog, I have included photos of some of the work that my graphic design students created in their service learning projects.